Panasonic IBM P/N 02K7063, ASM P/N 02K7062 (CR2032-3P) IBM ThinkPad R32 Series, IBM ThinkPad R31, IBM ThinkPad R30 Series CMOS Battery. Functional replacement for: 02K7063, 02K7062, Panasonic CR2032-3P. Compatible Models: IBM ThinkPad R32 Series, IBM ThinkPad R31 Series, IBM ThinkPad R30 Series and more. This small battery is commonly used in many IBM THINKPAD SERIES laptop computers. Our battery is a geniune replacement for the CMOS battery mentioned. 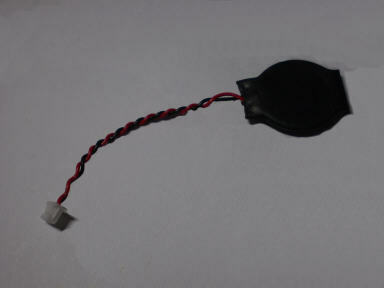 This battery can be used in many IBM ThinkPad R32 Series, IBM ThinkPad R31 Series, IBM ThinkPad R30 Series etc laptop computers which use a 3.0 Volt clock battery.